‘Don’t Forget To Pray’! 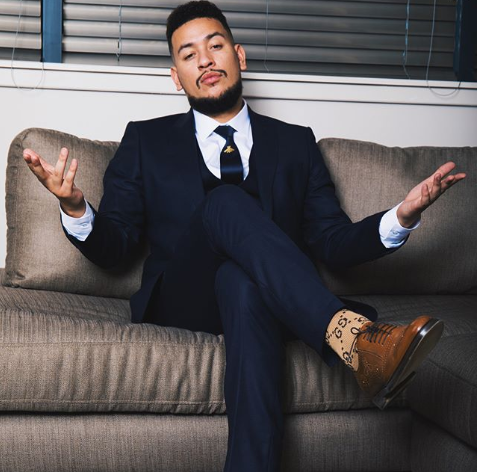 AKA Reveals His 2018 Resolution! New Year resolutions are still a thing and rapper AKA has one that we didn’t see coming. AKA has been staying say from social media and ranting less which he says he wants to keep it that way in 2018. He also mentioned things that he left behind in 2017. “Negative people‚ memes‚ social media bullying and negative energy all need to be left in 2017. We need to be better people‚ come together as one because we are quick to pull each other down and we celebrate when one is down and out‚” he said. AKA says 2018 he wants to make even more money and release an album but that’s not his biggest resolution. After releasing what black twitter called a Gospel album with Anatii in 2017, we’re not surprised this is AKA’s biggest resolution for the year. There you have it kids, the Supamega has spoken: Don’t Forget To Pray!